I'm posting from my phone today and I'm not a fan! This little keyboard is so annoying! 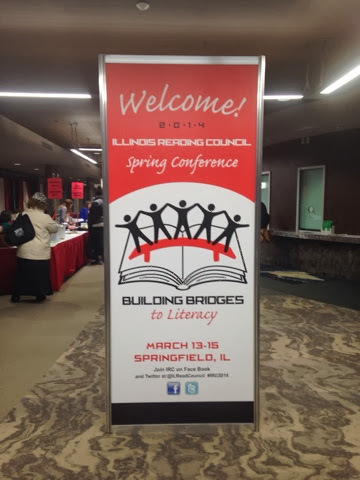 I am at the Illinois Reading Council Conference in Springfield and my wifi is not working. So I was just on hold to talk to the tech dept and then the guy couldn't help me so he had to escalate the call. Then I got disconnected. Grrrrrr!!! So, no pictures tonight..... Except the one from my phone. Not spending time revising and editing. This is all I got. On a positive note, pretty cool that I can post from my phone! Just a thought: Are you able to dictate the message instead of actually using the keyboard? I'm typing this on my laptop, but the text-to-voice capability of my phone is super handy. Can't wait to hear more about your conference! I bet it will be wonderful (and will make up for all of the wifi trouble).